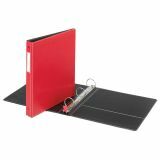 Cardinal EasyOpen Locking 1" 3-Ring Binder, Round Ring, Letter Size, Red - Locking round-ring binder opens and closes with the touch of one finger. 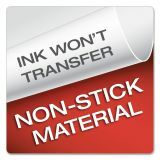 Lock instantly engages when closed, eliminating two-handed, two-step operation. 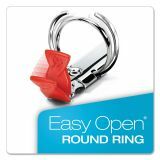 Extra strong One-Touch Easy Open rings received Ease-of-Use" Commendation from the Arthritis Foundation. 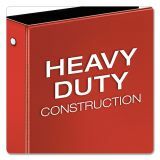 Heavy-duty construction with wrinkle-resistant covers equals lasting durability. 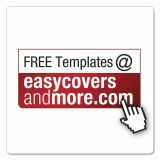 Design also includes heavy-duty vinyl; chipboard; four nonstick organization-friendly pockets; and a label holder on spine for easy identification."